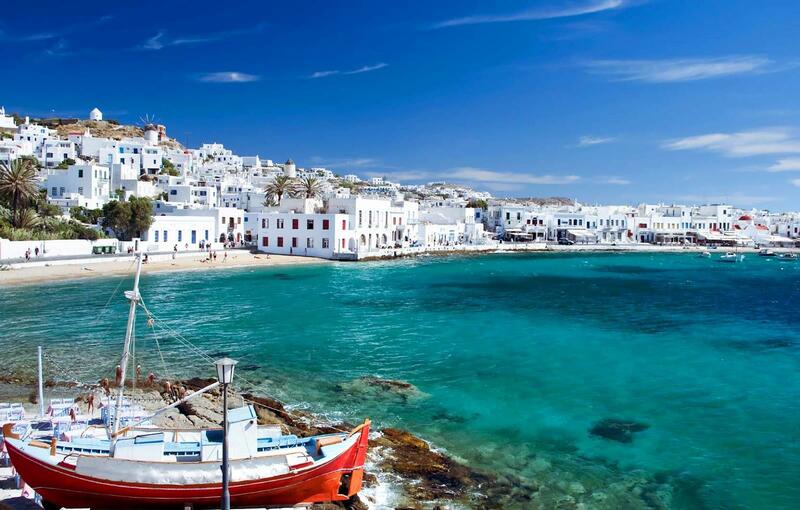 Day 1: After being picked up from your Athens hotel, you’ll be taken to Piraeus Port, where you’ll embark on a 4-hour cruise. See the islands of Syros and Tinos. 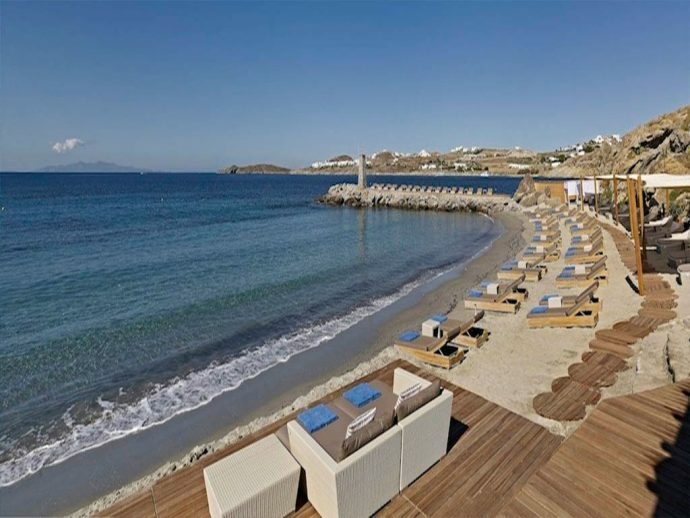 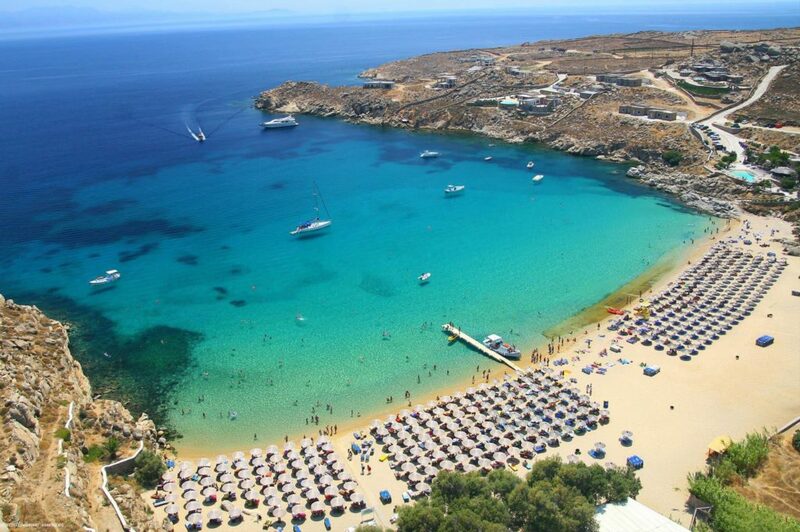 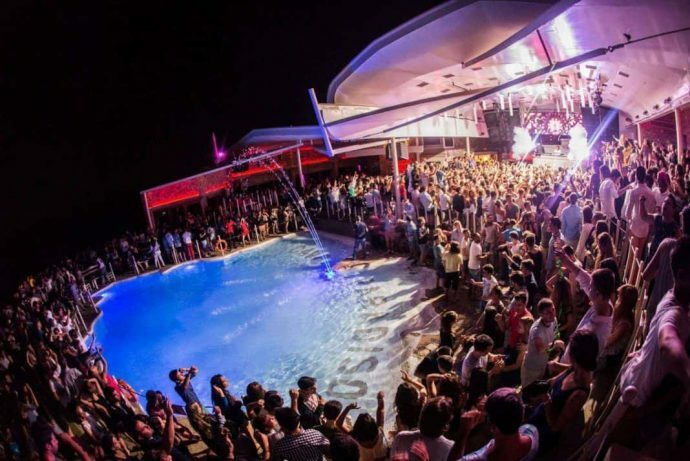 Upon arrival at the Mykonos Port you’ll be transferred to your hotel, where you’ll enjoy overnight accommodation. 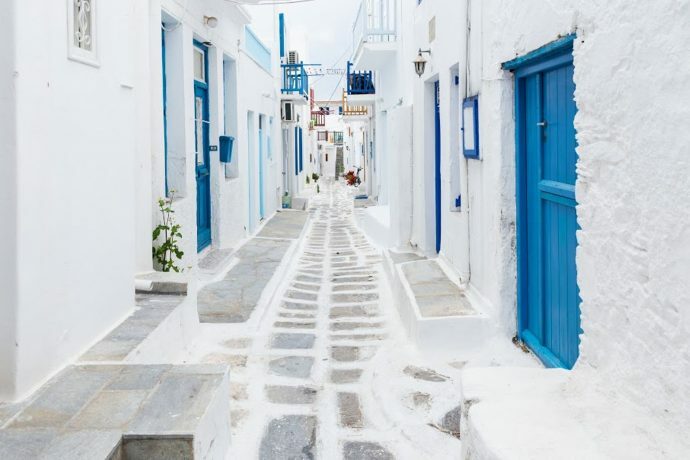 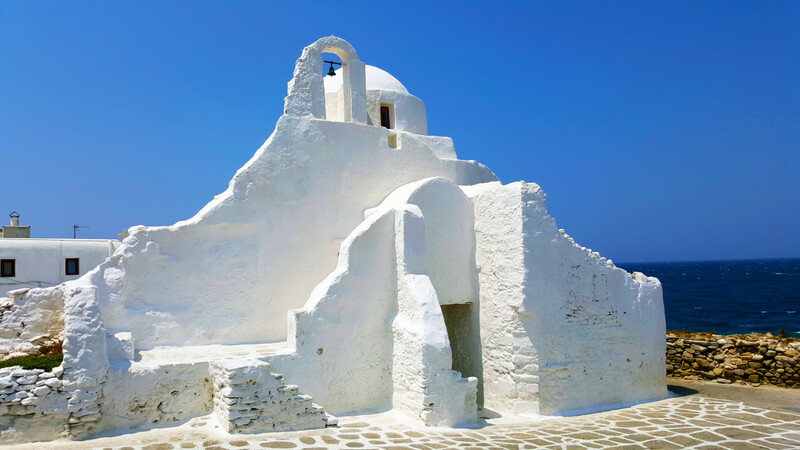 You have the rest of the day at your leisure, so explore the top spots of Mykonos—the most famous of the Cycladic Islands— as you wish. 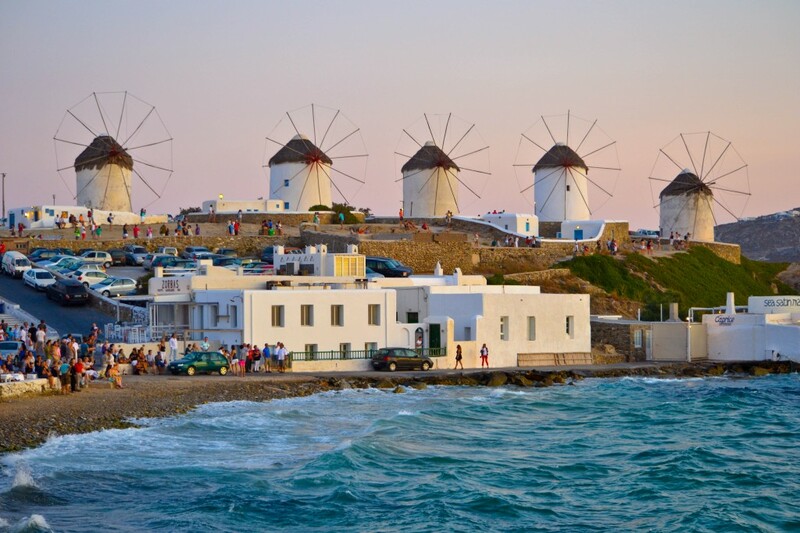 Admire the windmills, marvel at the beauty of the local churches and the whitewashed houses, relax at the beach, and discover the island’s vibrant nightlife. 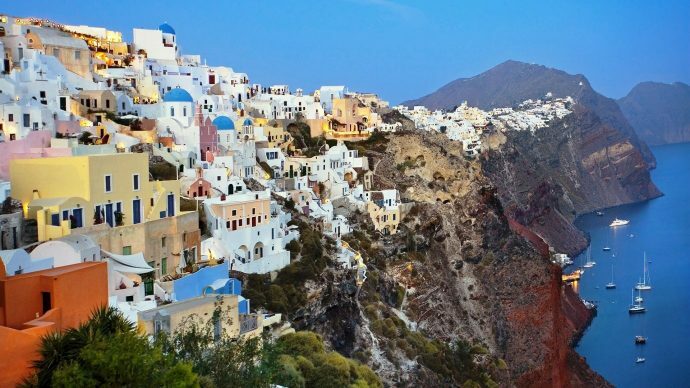 Day 3: You’ll be transferred from your hotel to Mykonos Port, where you’ll board the ferry and enjoy a scenic journey to Santorini. 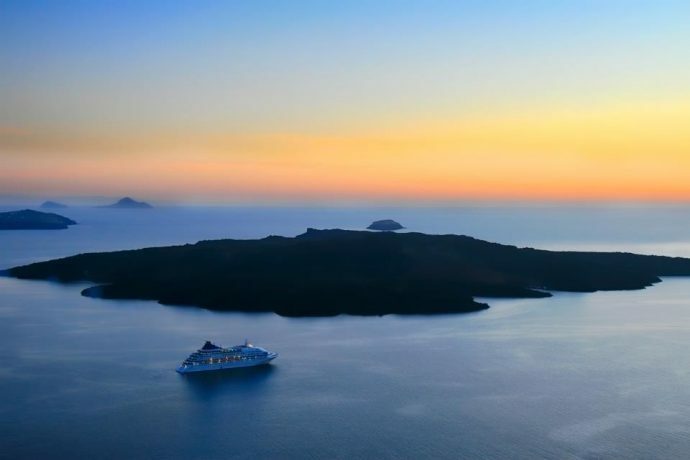 Upon arrival at Santorini Port, you’ll be transferred to your hotel for overnight accommodation. 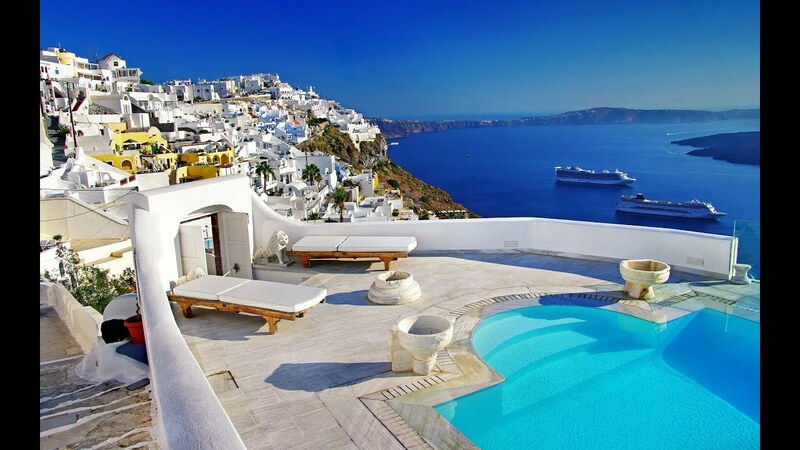 Spend the rest of the day at your leisure, and explore Santorini—one of the most romantic islands in the world—as you wish.Optional city tours and boat trips to the volcano are available (subject to surcharges). 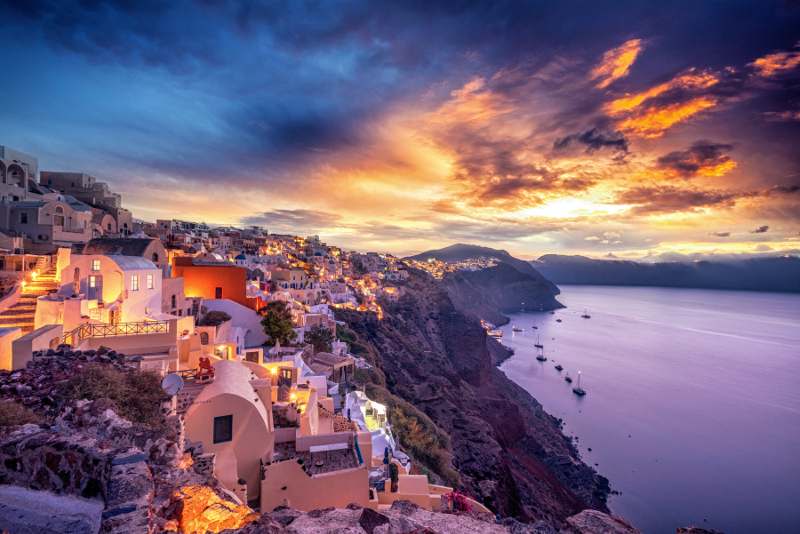 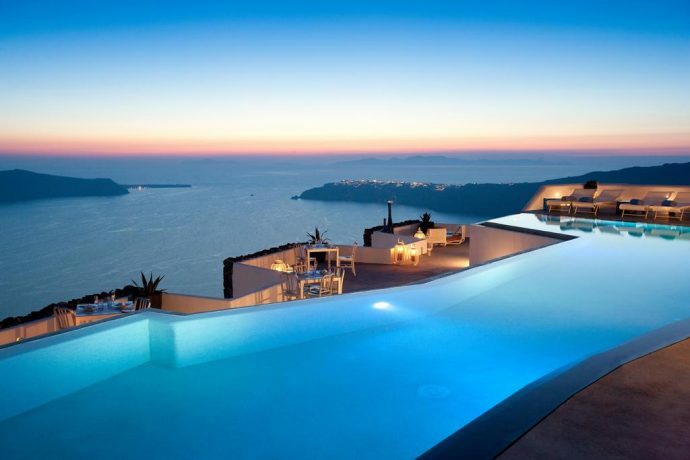 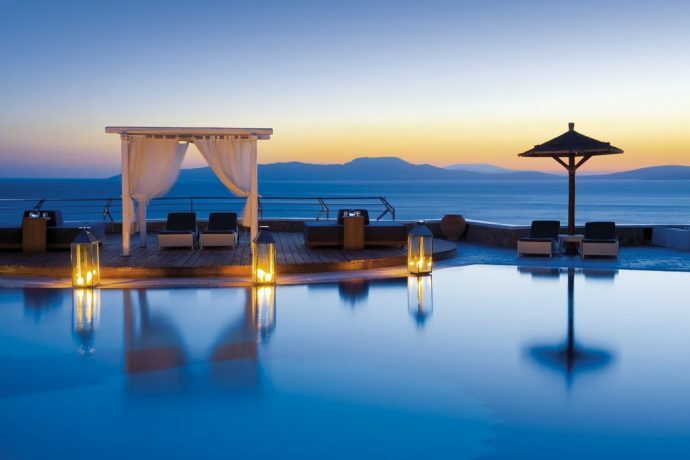 Do not miss watching the sun set down on the island, as Santorini sunsets rank among most spectacular in the world. 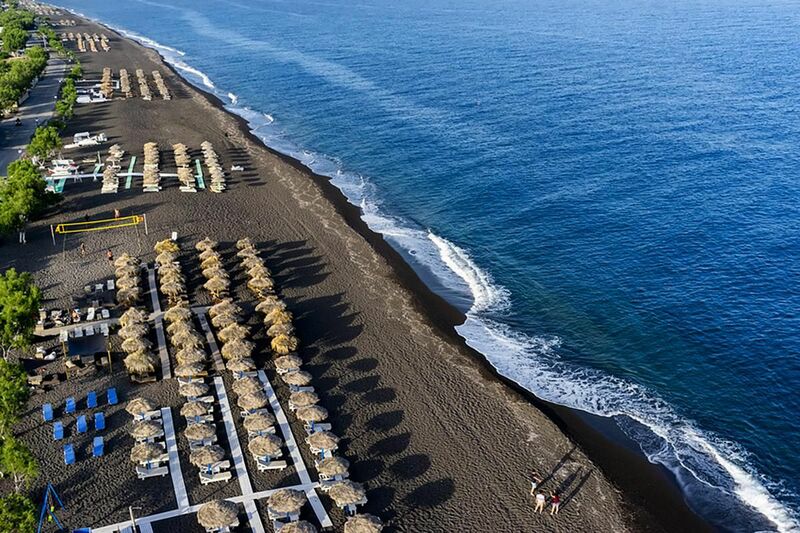 Day 4: Free day to explore the volcanic beaches of the island.